After sharing about my experience with eating at the relay, I got a request to share the kitchari that I made and ate during the race. As I’ve told more than a few people, it is a variation on dozens of “beans and rice” meals that I regularly make and consume. One thing that is different, however, is that I’ve been paying a little more attention to the energetics of food these past few months, how certain things make me feel, physically and emotionally, and really asking myself, What do I need today? to feel my best. Part of this is perhaps just where I’m at in life, with my relationship to food and my body, and the other part is that I find when it comes to healing complex health concerns, which I’ve struggled with for a number of years, I believe we each individually have the internal knowledge of what is best for us, if only we tune in and acknowledge it. 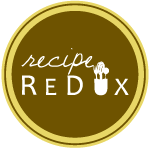 I’ll share a little more about what I have adapted, and suggestions for how you can do the same in the recipe notes below, but first a few good articles, a video, and a podcast episode that I particularly enjoyed these past few weeks. A Vegan Dietitian Reviews “What the Health”: There has been A LOT of discussion and controversy over this new documentary, but I think Virginia Messina does the best job detailing the problematic nature with how the information was presented. This Is Your Brain on Cheese: When I first learned I was reacting negatively to gluten and dairy and eliminated them from my diet, I found dairy was much more difficult to remove, and I went through weeks of anger and frustration at the sudden lack. After that ‘detox’ period was over, I have never craved cheese or other dairy again. Some of the evidence in this article explains why. A Cook’s Remedy: I absolutely loved Aran’s video showcasing her Spanish Roots and relationship to food and body, and her journey over the years. It is episode Three, parts one and two. And to end on a slightly lighter note, I love Sophie’s suggestions on 12 Ways to Make Your Kitchen a Hippie Haven, combining both food, nutrition, and mindfulness topics. Kitchari is a creamy porridge-like blend of beans and rice that has been a staple of Ayurvedic cuisine for many centuries. It is often consumed during times of healing or for detox, as simple frugal fare, and as a comfort meal. There are countless variations on it, and I adapted my own, choosing to cook the beans and rice separate for a less porridge-like texture in lieu of a more soupy curry served over brown rice. I’ve made it with both split yellow mung dal and red lentils. Both are lovely but the red lentils will break down more into that porridge consistency, and the split mung beans will retain a little more texture. The spices used here are more in favor of consuming this during the summer heatwave we are once again experiencing, with cooling and digestion-friendly fennel, and smaller amounts of the heating and pungent ginger and turmeric spices. Additionally, use whatever seasonal vegetables you have on hand. I chose to use more grounding vegetables from my garden like golden beets, yellow summer squash, carrots, and white ‘salad’ turnips and their greens. My garden is bursting with tomatoes, peppers, and eggplant too, and though I really do enjoy those foods, I’m noticing that they’re not leaving me feeling my best so I left them out. If you choose to make this, I invite you to adapt it as needed, adding in one or two minced chili peppers if you’re feeling a little stuck or sluggish, or taking out the black pepper if you’ve been overheated. Soak the mung dal or red lentils for at least 30 minutes, then drain, wash well, and and drain again. Do the same in a separate dish with the brown rice. In a small saucepan, bring the rice and water to a boil, cover, turn down to a simmer, and cook for about 40 minutes or until all the liquid is completely absorbed and the rice is plump. Combine the mung dal or red lentils and broth or water in a medium saucepan and bring it to a boil over high heat. Stir occassionally and skim off the froth that comes to the surface. Add the vegetables and fennel, bay leaves, ginger and turmeric, leaving out the greens for now, and mix well. Reduce the heat to medium-low, cover, and simmer for 20-25 minutes, or until the beans are soft and fully cooked. Stir occasionally as needed so nothing sticks to the bottom of the pan. Then stir in the greens, oil, and salt and pepper to taste. Cook just a little longer until the greens soften. To serve, spoon the kitchari over a bowl of rice and top with minced cilantro or other cooling fresh herbs and a few squeezes of lime juice. Thank you! Was looking for a recipe for a while! Great job! Thanks Rosanna, hope you enjoy!